This is an economist's approach to environmentalism, including a summary of Britain's green assets, a look towards possible futures and an achievable 25-year plan to a green and prosperous world. News about Britain’s wildlife and ecosystems tends to be grim. 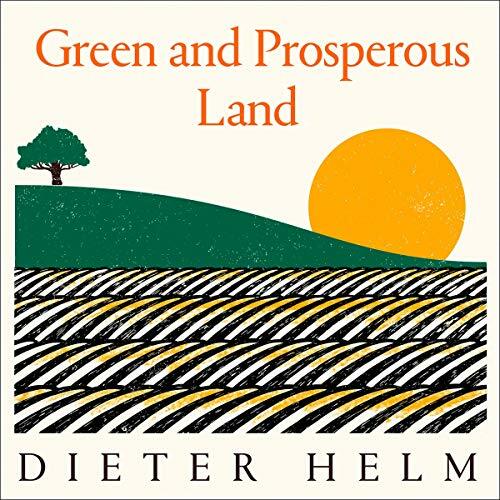 In Green and Prosperous Land, Dieter Helm, a member of the Department of Food and Rural Affairs (DEFRA) and advisor to the government, shares a radical but tangible plan for positive change. This is not the pale shadow offered by the current government but a bold generational plan which assesses the environment as a whole, explains the necessity of protecting and enhancing our green spaces and offers a clear, economically viable strategy to put Britain on a greener path. Helm’s undeniable arguments expose hypocrisy and inefficiency in our environmental policies and demand change. Leaving behind the current sterile and ineffective battle between the environment and the economy, this revolutionary plan champions the integration of the economy and the environment together to enhance sustainable, ecofriendly economic growth. There is hope, and there is time, but we must act now.